This is just about the toughest decision I've ever made but it feels like the right time for me personally and also for DPA. It's almost twenty-three years since I started The Lindesmith Center and approaching seventeen years since we merged with the Drug Policy Foundation to create DPA. We've grown from little more than an idea into a remarkable advocacy organization that has built, led and defined a new political and cultural movement. Transitions like this are never easy but I am confident that DPA will continue to flourish. Our finances are strong and our donor base more diversified than ever before, with new sources of potential funding rapidly emerging. The talent, experience and commitment of staff and board are extraordinary. Our mission and vision are as relevant today as when we started, even as our many victories present new challenges and opportunities. I've been thinking about making this transition for almost two years, for all sorts of reasons: passing the age at which my father died; the prospect of turning sixty, as I will six weeks from now; my growing sense of multiple missions accomplished, as evidenced by transformations in public opinion, our political victories, and the rapid expansion of our organization and movement; and also, I must say, by a desire for new adventure and challenges. Even as I've imagined, with both trepidation and anticipation, different futures for myself, I've made no plans or commitments. Most of you have heard me compare our drug policy reform movement to other movements for social justice and individual liberty – notably those for women's rights, civil rights and gay rights – and describe each as inevitably a multi-generational struggle. I am immensely proud to have played the role I did in the first generation of our movement and to know that there are so many exceptional people who will lead – indeed, are now leading – the second generation. It's time now for a new person to assume the leadership of DPA and take this organization and our cause where they need to go. I had strongly hoped and assumed, as I came to this decision, that Donald Trump would not be our next president. That development did indeed give me pause but not change my mind. 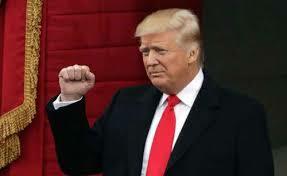 His administration will surely hamper our progress at the federal level but do little to undermine our progress and prospects in the states and cities where so much of our work has focused. And there are always, as we've learned from experience, unique opportunities that arise when our opposition is clearly defined and when it overreaches, as it inevitably will. We are extraordinarily fortunate to have a strong board as well as a chairman, Ira Glasser, who knows and loves DPA deeply. He and I have agreed on a target date of late April for me to step down, at which point, I am pleased to say, DPA's former deputy executive director, Derek Hodel, has agreed to serve as interim executive director until my successor is in place. The search for that person now commences. My greatest regret in making this move is the prospect of missing you. My admiration and respect for the work you've done, and the passion, commitment and superb judgment you've demonstrated again and again, truly knows no bounds. I'll dearly miss our comradery and our shared struggles. But I'm not going far, and nothing will give me greater pride and joy than to watch DPA grow into an ever more powerful advocate for drug policies grounded in science, compassion, health and human rights! Derek Hodel is a longtime social justice activist and nonprofit executive. For the past 28 years, he has held a variety of senior positions for HIV- and drug-policy organizations in New York and Washington, D.C., and operated a consulting practice serving foundation, government, and nonprofit social service organizations. He currently resides in Toronto, Ontario. Derek Hodel provides policy research, analysis, and development; writing and editing; strategic planning and facilitation; and organizational development advice for clients worldwide, from 1998-2006 as principal at the Daystar Group, and currently as an independent consultant. Representative clients include Action Hepatitis Canada, Arcus Foundation, Canadian AIDS Treatment Information Exchange (CATIE), Canadian Drug Policy Coalition, Canadian HIV/AIDS Legal Network, Foundation for AIDS Research (amfAR), Ford Foundation, Funders Concerned About AIDS, Gay Men’s Health Crisis, Gay Men's Sexual Health Alliance; Levi Strauss Foundation, M•A•C AIDS Fund, National Minority AIDS Council, New York Academy of Medicine, NYC Department of Health and Mental Hygiene, New York Community Trust, NYS AIDS Institute, Open Society Foundations, Planned Parenthood Federation of America, Physicians for Human Rights, Trust for America' Health, Treatment Action Group, and UNAIDS. CTAC is Canada's civil society organization addressing access to treatment, care and support for people living with HIV. CTAC's mission is to identify, develop and implement policy and program solutions promoting treatment access and to respond to the health and human rights of Canadians living with HIV and viral hepatitis. The International Treatment Preparedness Coalition is the world's leading community-based movement of people living with HIV and their supporters who are united in promoting access to treatment. ITPC members include community organizations, local NGOs, researchers, and activists with strong expertise in HIV treatment, HIV co-infections, health systems and related issues. For nearly a decade, ITPC has advocated for treatment access and promoted treatment literacy, ensuring that PLHIV actively shape their own futures and lead productive lives. Through a global secretariat in NYC, ITPC supports nine regional networks in Africa, Asia, the Caribbean, Eastern Europe, and Latin America. Responsibilities included management of day-to-day operations (50+ staff and $10 million budget) and the development and implementation of systems to promote program integration and increase accountability. Drug Policy Alliance is the nation's leading organization advocating alternatives to the failed war on drugs based on science, compassion, health and human rights. GMHC is the world's oldest and largest AIDS service organization. AIDS Action Council (now AIDS United) was the national representative of over 1000 community-based AIDS organizations. 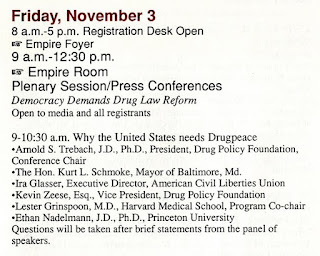 Nadelmann, along with Ira Glasser are long-time participants in the Drug Policy Alliance (DPA), as well as the predecessor organization, the Drug Policy Foundation (DPF). 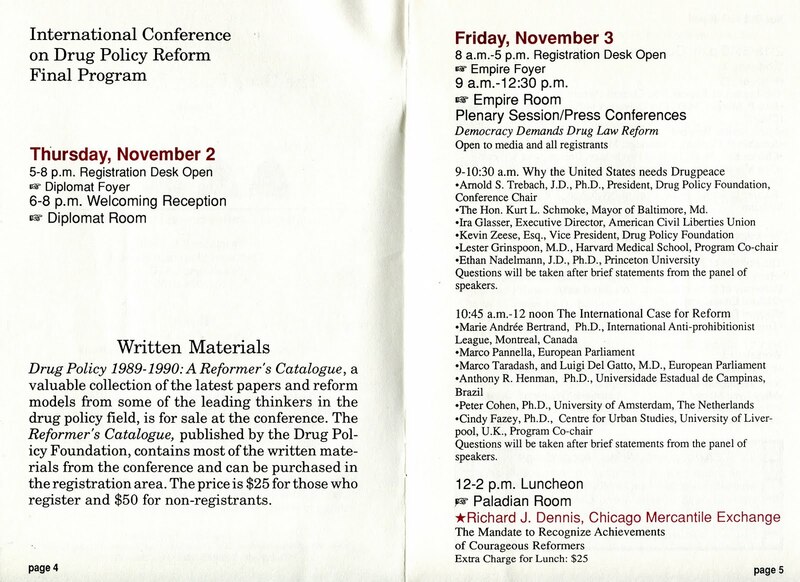 Both have featured prominently in the various DPF and DPA conferences, such as this opening session from the 1989 DPF conference. Nadelmann appears on the DPF Advisory Board list in that organization's 1988-1989 Biannual Report. 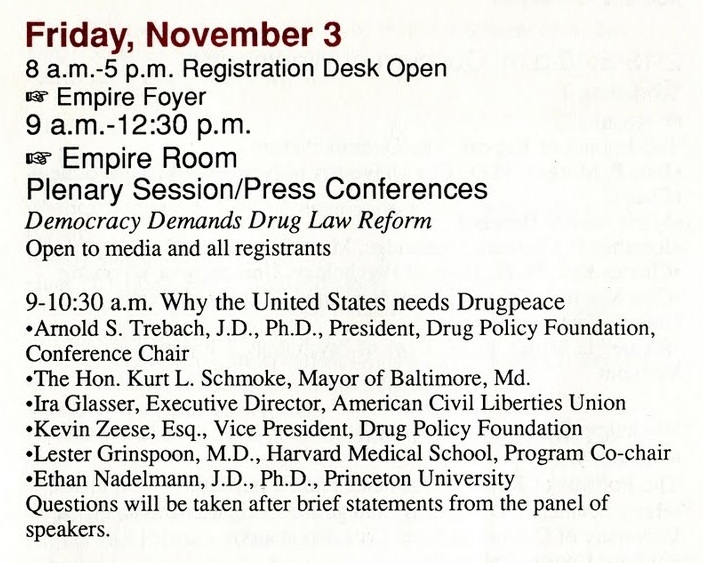 I have known Nadelmann for more than a quarter century through my activism, including attending these conferences that I started attending regularly in 1989, and appeared on a panel with him in 1992. The DPF did a decent job during its early years, following its 1986 founding, and into the early 1990s. However, after 1992, the DPF became increasingly 'conservative' insofar as becoming more restrictive in what they allowed at their conferences. Although adopting the lexicon of "harm reduction" the DPF would narrow presentations to things as methadone, while denying coverage of natural substances other than Cannabis and some psychedelics. In May2000 I wrote a story published by AlterNet entitled, "Pot Shrinks Tumors; Government Knew in '74." It won a Project Censored award and resulted in my having to go into hiding to safeguard myself and my family. In the ensuing 17 years exactly zero national pot activist "leaders" have followed up in any meaningful way on the federal government's documented suppression of research revealing cannabis' anti-cancer properties. As far as I'm concerned, Mr. Nadelmann won't be missed. He mostly wrote the same things over and over again, recycling material from other sources and refusing to address the central issues of pot prohibition: how many people is it killing every day? How many people has prohibition killed in the past 50 years? Does pot really cure cancer and is that why the DEA and its puppet, the UN drug office, have blocked human trials worldwide for nearly 50 years? 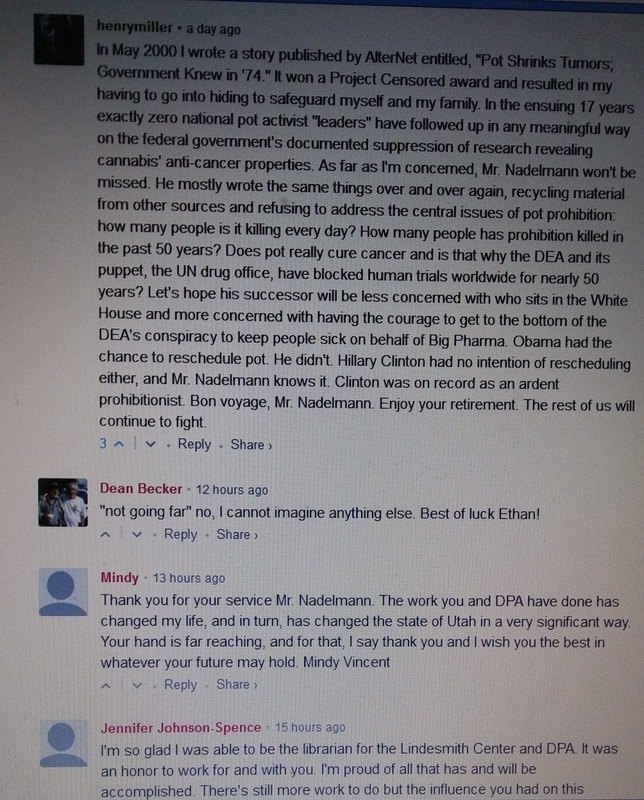 Let's hope his successor will be less concerned with who sits in the White House and more concerned with having the courage to get to the bottom of the DEA's conspiracy to keep people sick on behalf of Big Pharma. Obama had the chance to reschedule pot. He didn't. Hillary Clinton had no intention of rescheduling either, and Mr. Nadelmann knows it. Clinton was on record as an ardent prohibitionist. Bon voyage, Mr. Nadelmann. 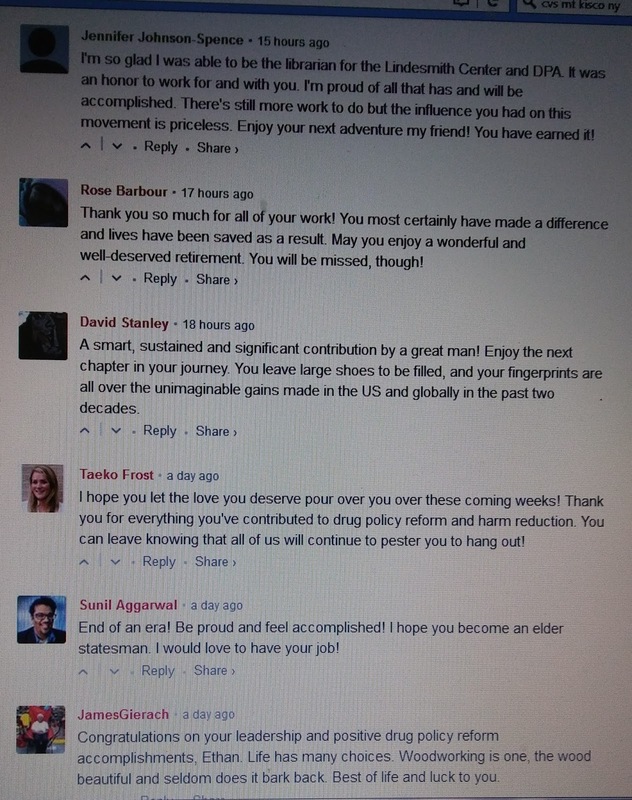 Enjoy your retirement. The rest of us will continue to fight. Having been involved with the DPA since its inception, and its predecessor entity the DPF since 1989, I agree with this assessment. 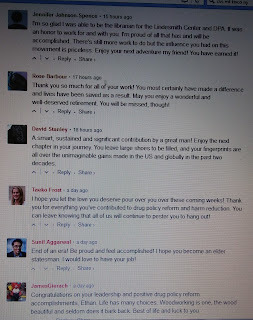 This comment appears to have been rejected, as it no longer appears upon a refresh later the same day. 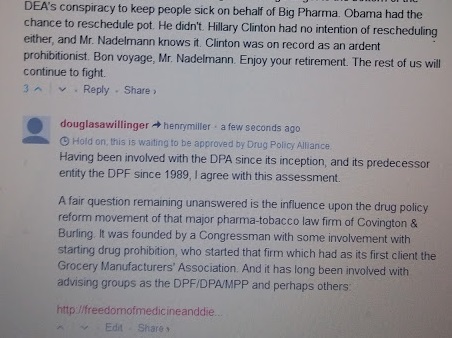 This suggests that the DPA finds the matter of the Covington & Burling involvement with the drug policy reform organizations, to be a topic they would rather not address. 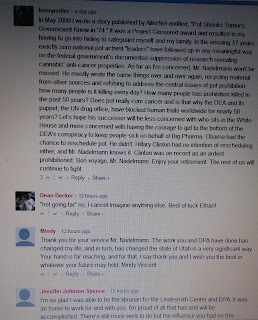 Indeed one so sensitive that they would be afraid to allow a comment about it, even though allowing the comment above critical of Nadelmann, as well as another about long time activist Chris Conrad regarding the recent controversy about the California AUMA. The DPA has long displayed a narrow focus upon synthetic (patentable) pharmaceuticals, to the exclusion of non patentable natural alternatives. "Notably the DPA promotes Methadone, see the blue pamphlet, yet strangely has no such publications for Coca leaf nor Iboga- that latter a particularly odd exclusion for a psychedelics conference." 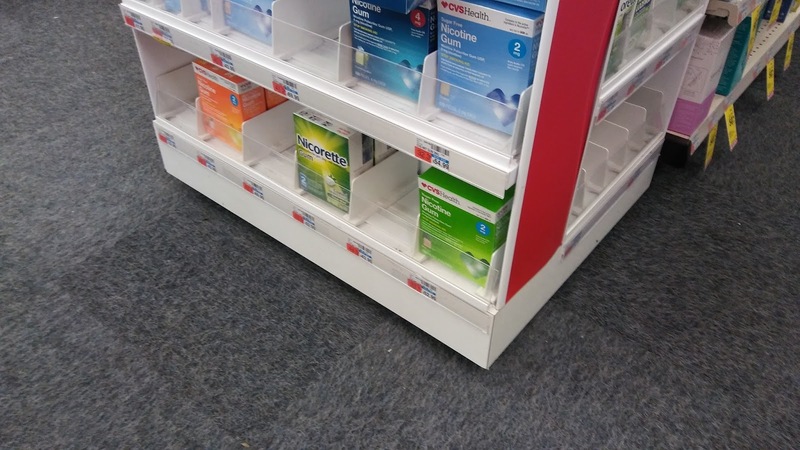 And it has long undersold the concept of 'harm reduction' by focusing upon the drugs as they are available under prohibition, forgetting how prohibition ensures their availability as 'hard' - re: concentrated - drugs. "Alas, the Drug Policy Alliance - successor organization to the Drug Policy Foundation - seriously short-sells the concept of 'Harm Reduction', limiting it essentially to the first stage: clean needles and safer crack pipes." NO Panels on History- even at this final conference before next year's 100 anniversary of the infamous 1914 Congress Harrison Narcotics Act..."
Nadelmann could have at least mentioned the interplay of pharmakokenetics and prohibition's iron law regarding Opiates and Cocaine in shifting markets to infinitely more concentrated forms of drugs and more problematic modes of drug taking. For instance cocaine is a stimulant alkaloid found in small amounts in Coca leaves, as are caffeine and nicotine respectively in Coffee/other beverages and Tobacco. 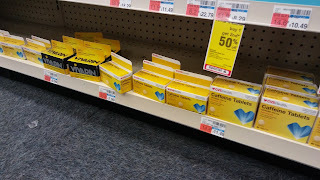 But how much of the later two are consumed in white powder form, essentially unmeasured, of standardized potency, and in modes of taking that invite overdosing leading to the very incapacitation O'Reilly cites. 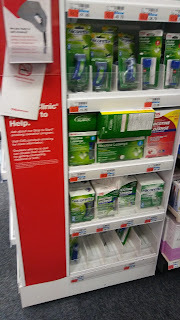 Do a tiny line of cocaine hci or crystal meth and perhaps one is still within a range of enhancement -- aka a milder effect not interfering with life but rather the role of a gentle uplift. But do a slightly larger amount, and they do interfere, like with cocaine crossing the threshold to where one does not want to hear music, and prefer to be alone or silent. And they are easy to over-do in these concentrated forms. So why Mr. Reilly do you insist upon a scheme that makes Opiates and cocaine only available in their dangerous forms, and which only really bans the safe forms? Why is it ok to make cocaine powder and crack highly profitable and inefficient uses of police resources, while really banning only the safe and effective products such as VIN MARIANI? Yet it is ok to permit the mass sales of cigarettes and other Tobacco products. Never-mind that they are more physically addictive than heroin, and are most chronically deleterious, taking nearly half a million lives every year in the U.S., and over 6 million annually word-wide. Especially so. 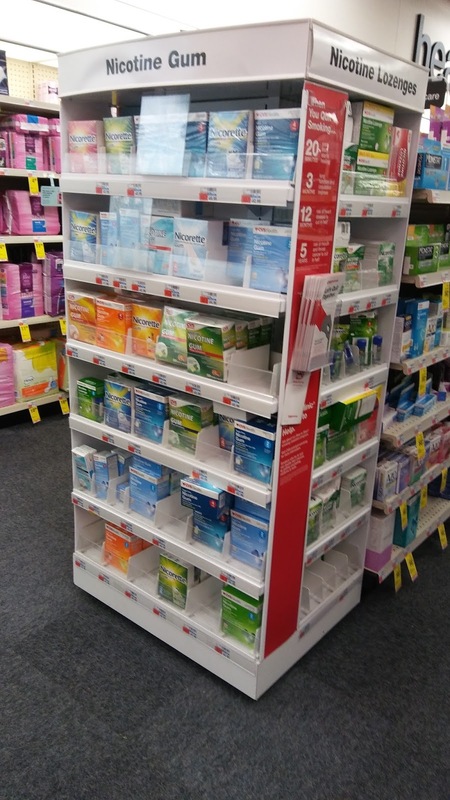 Why are these Tobacco products and alcohol the two classes of substances EXEMPTED from ingredient retail labeling? The initial 1906 U.S. Food and Drugs Act was predicated upon labeling some drugs, such as opiates and cocaine - but not others such as caffeine and nicotine. Indeed it exempted Tobacco from its regulatory jurisdiction, by limiting such to substances listed in the U.S. Pharmacopeia which de-listed Tobacco in 1905, never-mind that this regulatory authority was vested with the U.S. Department of AGRICULTURE. Wow! the USDA gets to ban anything it declares as deleterious to health, yet could not regulate Tobacco- and apparently was never challenged in a suit over this denial of equal protection under the law. What was the social costs of the 20th century ban on Coca and this protection of Tobacco and cigarettes? Given their overlapping uses, the fact that the U.S.D.A. was exploring the feasibility of growing Coca in the U.S., that the U.S. had taken control of the Panama Canal project in 1903 to be completed in 1914 that would have significantly shortened Coca supply lines from Peru to North Atlantic markets, and the U.S.D.A. 's stated concern specifically over the use of coca as a 'Tobacco Habit Cure', the drug war was anything other than about protecting the public's health. They act in deference to protecting existing markets, as part of Ira Glasser's 300 Year time frame to go as slow as possible, such as down-selling "harm reduction" as clean needles and safer crack pipes, bit don't talk about the parent plant drugs of Opium and Coca- never-mind their listing in the 1914 U.S. Harrison Narcotics Tax Act. It is as if they were being yoked, perhaps in part by being feed some exceptionally questionable advice. The matter of drug prohibition promoting its own justifications is long acknowledged, for instance the landmark Rich Cowan National Review article from 1986 about how prohibition spawned crack. Naturally this has long inspired me to seek to identify the source[s] for this stranglehold on the pace of drug policy reform advocacy. Clearly the issues involve markets worth billions of dollars, hence further raising the likelihood of some high level interference to control the pace and extent of drug policy reform. Hence it is logical to look at the people placed high up in organizations as the Drug Policy Alliance, as well as those with an influence over such. Ira Glasser is logically a person of interest, and has received attention from others for his acceptance of funding from within the Tobacco industry, and the potential of that to influence decisions that could affect that industry. As Coca leaf's potential to reduce markets in Tobacco products was a stated concern of the USDA in the years between 1906 and 1914, the Ira Glasser - Tobacco industry connection is a plausible reason for the DPF-DPA reluctance to address the Coca issue, by keeping the cocaine related focus upon the concentrated forms of the drug supported by drug prohibition. 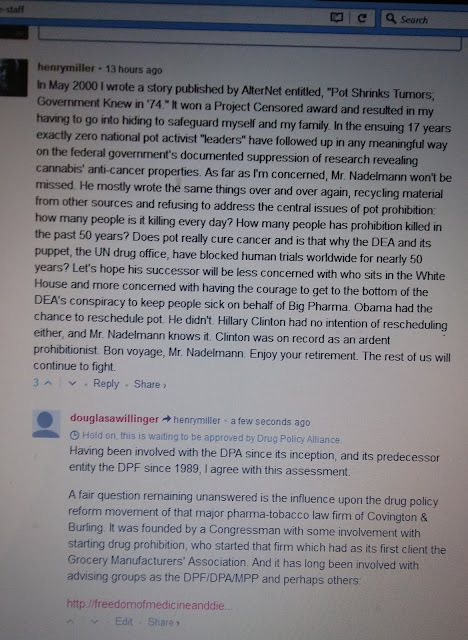 After all, the DPF had been founded in 1986 response to the drug war hysteria largely over "cocaine", and both the DPF and the DPA ostensibly stood for DRUG policy reform, rather than as simply an echo of NORML, which by definition had limited itself to Marijuana/Cannabis. The narrow focus upon cocaine as a hard drug simply made no sense for the sake of meaningful reform rather than as a holding action to maintain the basic status quo as long as possible. For that same reason, plus the broader issue of the drug war as a means to suppress the use of natural substances to favor markets for synthetic patentable drugs, the involvement of the law firm Covington & Burling is a fair issue to view as a plausible influence over drug policy reform to ask about. That firm was founded by a man who played a role in the establishment of drug prohibition. 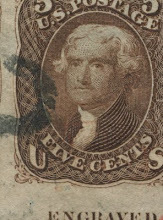 One who served as a U.S. Congressman from 1909 to 1914. 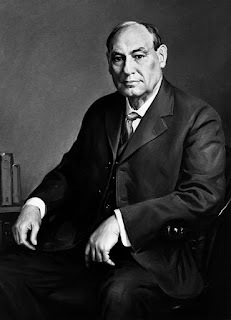 Was present as a Congressman in deliberations regarding amendments to the 1906 U.S. Food and Drugs Act that ultimately lead to the 1914 Harrison Act. Who resigned from Congress that year to accept positions as a professor at Jesuit Georgetown Law School and as the Chief Justice of the Supreme Court of the District of Columbia who upheld the supposed constitutionality of the Harrison Act's delegation of regulatory authority to the U.S. Department of Treasury to define what constituted legitimate medical practice: James Harry Covington. ...It is quite true that the law cannot be amended by a regulation issued by the respondents in virtue of the power conferred upon them under section l of the law. The regulations must be in harmony with the law and in an appropriate proceeding a mere arbitrary and unwarranted exercise of power by the respondents might be held invalid by the court . In this case, however, the respondents have acted. They have exercised their judgment and discretion, and they have acted under the power given them to provide the appropriate administrative details for enforcing the "Harrison Narcotic Law," including, of course, section 6 of that law. The exercise of such a power certainly cannot be said to be ministerial. In Field vs. Clark, 143 U. S. 694, the court said: "The Legislature cannot delegate its power to make a law but it can make a law to delegate a power to determine some fact or state of things upon which the law makes, or intends to make, its own action depend. To deny this would be to stop the wheels of government. There are many things upon which wise and useful legislation must depend which cannot be known to the law-making powers, and must, therefore, be a subject of inquiry and determination outside of the halls of legislation." In 1919, Covington, co-founded the law firm Covington & Burling. Its very first client would be the Grocery Manufacturers' Association- today infamous for opposing GMO labeling. Covington & Burling is not the average law firm. Covington & Burling would become perhaps the premier Washington, D.C. law firm on behalf of major food, drug-pharmaceutical industries, as well as Tobacco- hence representing some major interests that benefit from the drug war. In 1988 Covington & Burling established a relationship with the then recently established DPF via its pro bono program. This relationship has been maintained over the years. Notably, the Drug Policy Alliance has continued the Drug Policy Foundation's post 1992 malevolent malaise towards the Coca issue, and elephant in the living room' continuing mega boondoggle - public health disaster of pro Tobacco anti Coca Agricultural Mercantilism, embodied in U.S. statute since the 1906 Food and Drugs Act. The attorney assigned "primary responsibility for advising the [Drug Policy] Foundation" in 1988, was hired by Covington in 1987, and has worked there ever since, including participation in the firm's pro bono program. Another attorney, who is no longer with Covington, played a prominent role in the 2005 Raich v Gonzales case before the U.S. Supreme Court. Former U.S. Attorney General Eric Holder who served under U.S. President Obama, has long worked at Covington, which recently re-hired him. 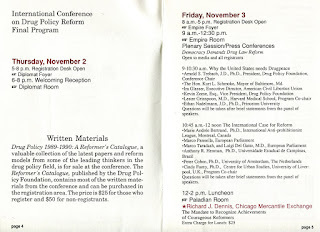 For the 2015 Drug Policy Alliance conference I submitted a panel proposal Covington & Burling- Drug Policy Reform and Creation , together with an invite letter. Following Holder's return to Covington, I invited him to be added to this proposed panel. Despite the potential popularity of such a panel, the DPA not only declined to hold it, but unlike as in the past, issued me no letter or other communication declining the panel. 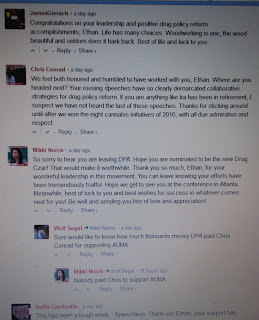 Nor did I receive any reply from any of the 3 attorney's who I sent invites to all, including the Raich attorney who is no longer with Covington. 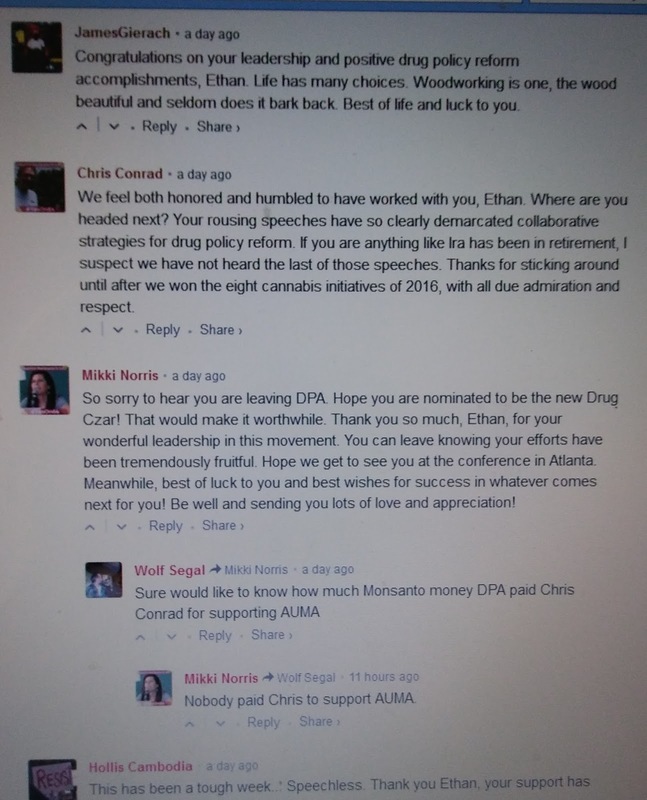 All of this, along with the DPA's failure to approve my recent comment, suggests a fear to answer questions about the Covington & Burling involvement with drug policy reform/organizations. Never-mind that is relevant to ask just what sort of advice that Covington has given to the DPF/DPA. Any future failures of the DPA to get its act together about addressing any of these issues after Nadelmann's departure are only going to further spotlight that the problem comes from higher up. 45th U.S. President To Radically Change Drug Policies? To end the carnage- end the drug war. Not merely the asinine war on Cannabis that denies a useful medicine and alternative to alcohol. Not merely the asinine war on Opium and Coca leaves that not only denies useful medicines and alternatives to alcohol, nicotine and caffeine, but perverts these useful substances into infinitely more potentially dangerous ultra-concentrated drug forms. 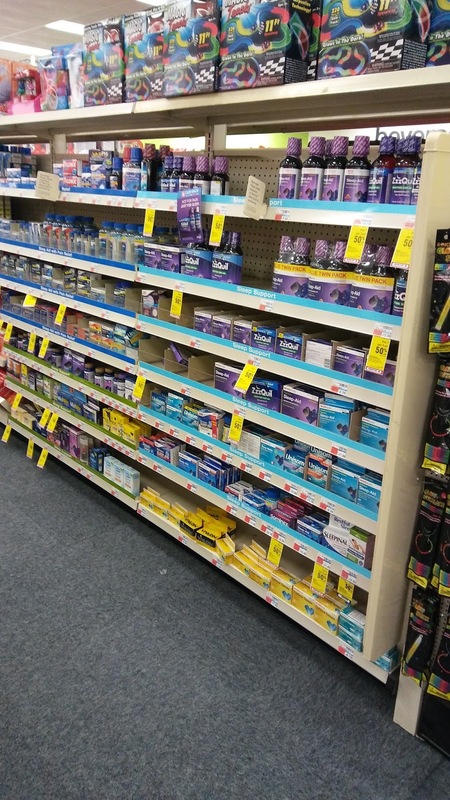 But as well the broader FDA war on natural substances, favoring synthetic patent monopoly medicines that are generally infinitely more toxic and expensive- driving up health care costs like crazy, by denying 1st Amendment Rights to Natural Substances sold as medicines. Let's not pretend that the problem with health care simply started with Obamacare. Or, simply continue the carnage by continuing the same policies. Could have the 45th U.S. President been referring to the "gangs" and drugs of big pharma? 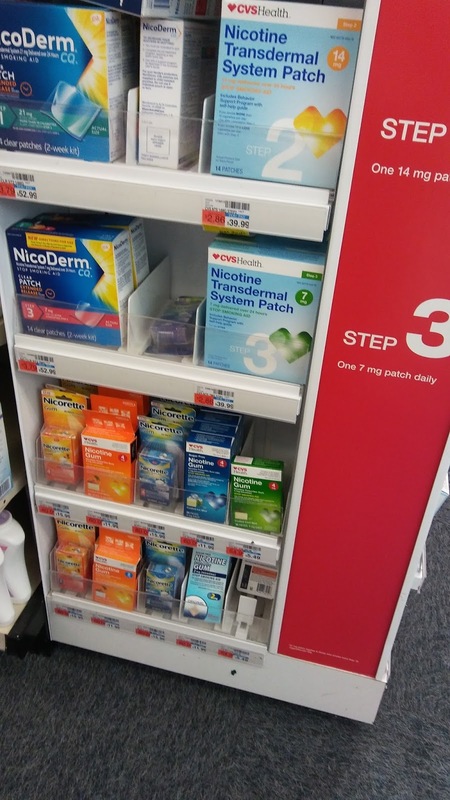 Caffeine Pills & Nicotine Gum In The Reach Of Children At CVS! This blog Freedom of Medicine and Diet strongly opposes the "war on drugs." Not only for its shifting drug markets towards infinitely more dangerous concentrated and uncertain potency drug forms. Not only for its denying adults the right to purchase potentially dangerous substances OTC (over the counter) - even with reasonable restrictions to protect the ill informed (labeling) and children. But as well for its utter hypocrisy. 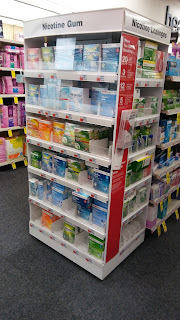 Not in simply allowing near un-fetted sales of alcoholic beverages and Tobacco products WITHOUT the labeling of the ingredients - the sole two class of consumable products exempted from retail ingredient labeling requirements within the U.S.A. - while adhering to a maniacal hysteria over opiates. But in an apparent lack of regulations to moderately restrict access of potentially toxic forms of legal drugs. 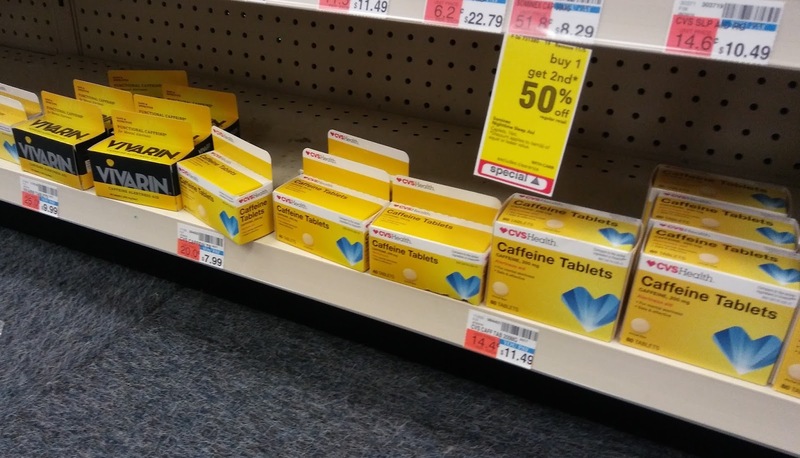 We have had the allowed internet sales of caffeine powder without adequate warnings of its potential toxicity- a situation that had led to a few deaths particularly by those who assumed that a drugs legality means that it is not potentially dangerous in purified form. But what about retail stores? 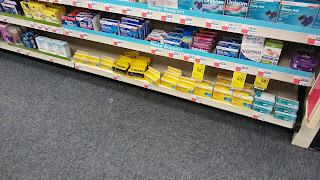 What gives with the un-fetted shelf space availability of refined caffeine and nicotine products, particularly upon shelves low enough to the floor for children to reach and potentially imbibe. Certainly pills and especially gums are far safer than powders; and are of an acceptable safety for informed generally responsible adults - something that our policymakers appear oblivious to regarding opiates. But what gives especially with the placing of the various caffeine pills exclusively upon the bottom shelf mere inches of the floor where they could potentially be accessed by children?! 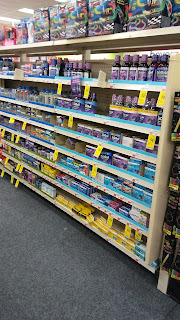 Why are not these products OTC - "over the counter"? 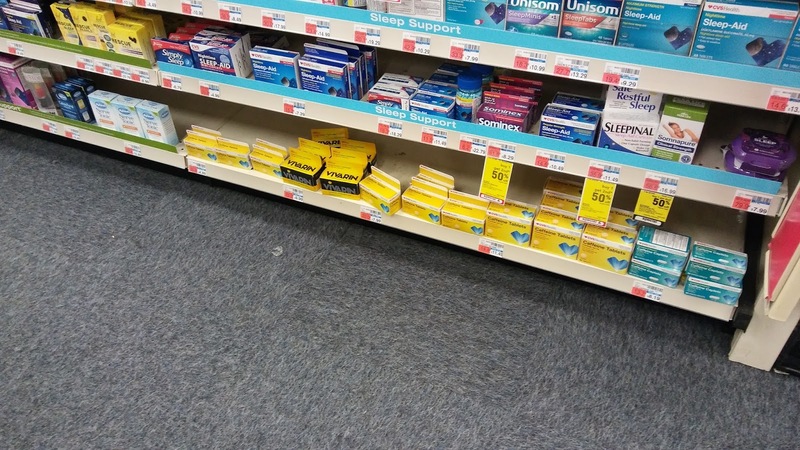 Or at least not placed upon retail shelf space mere inches off the floor?